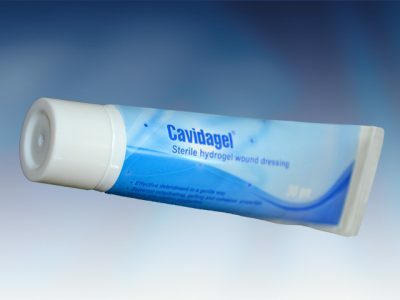 Cavidagel® is clear amorphous hydrogel with alginate which gently re-hydrates necrotic tissue, facilitating autolytic debridement, while being able to loosen and absorb slough and exudate. It can also be used to provide the optimum moist wound management environment during the later stages of wound closure. 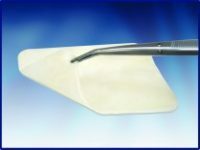 Cavidagel® rehydrates necrotic tissue and aids debridement. 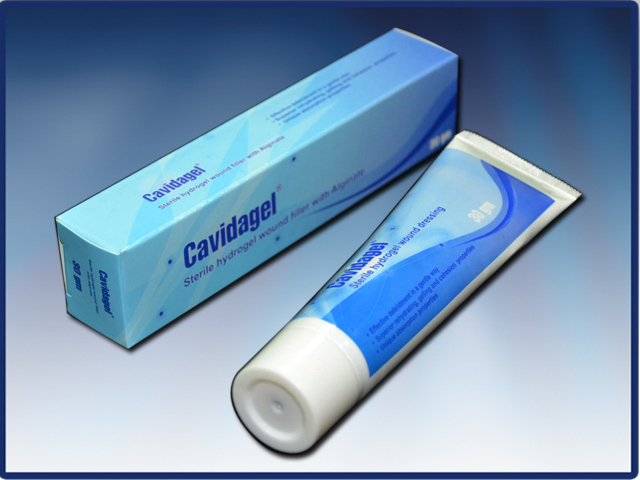 Cavidagel® absorbs slough and exudate without damaging fragile granulation tissue. Cavidagel® helps to create an optimal moist wound management environment which promotes healing, reduces the likelihood of scarring and helps soothe pain. 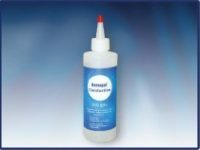 The viscous texture of the gel makes it stay in place, and even after absorption of debris and exudate the gel will remain cohesive and counteract leakage and maceration. The gel is easy to remove due to high cohesion even after absorption of debris and exudate. Cavidagel® Gel is primarily intended for the treatment of necrotic and sloughy wounds, e.g. leg ulcers, pressure ulcers and non-infected diabetic foot ulcers. Cavidagel® may also be used on 1st and 2nd degree burns. 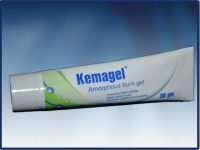 The gel may be used throughout the healing process to provide a moist wound healing environment in all types of wounds. May be used on patients with local and systemic infections under the discretion of a healthcare professional. In case of allergic reactions, please discontinue use directly and consult your doctor. Do not reuse the product. Reuse may pose risk of infection. If packaging is broken do not use or re-sterilize product. Rinse the wound with physiological saline or tap water. To optimise the use of Cavidagel®, apply according to the diagrams shown below. Gently dry the skin around the wound. The wound should not be filled to a higher level than the surrounding skin. Cover with a secondary dressing. For low to medium exuding wounds, choose a hydrocolloid as a secondary dressing e.g. Pharmacoll Comfort or Pharmacoll Comfort Plus. For medium to highly exuding wounds, choose a highly absorbent and highly permeable dressing to cover e.g. Espuma Comfort or Espuma Comfort Plus. For slightly or non-exuding wounds, Cavidagel® could be covered with film dressing e.g. Protectfilm. To optimise cleansing of necrotic and sloughy wounds, it is recommended to change Cavidagel® at least every 3rd day, due to the larger amount of exudate. In case of clean wounds, Cavidagel® should be changed depending on the amount of exudate. The gel can be removed from the wound by rinsing with physiological saline or tap water.